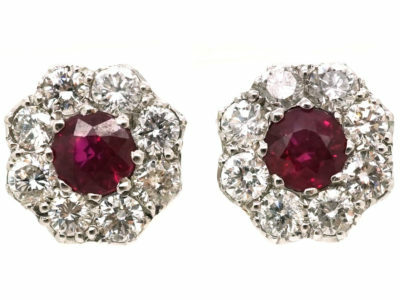 Loved for their vivid red hue, which intensifies even further in sunlight, rubies are among the most beautiful and important stones in the coloured gem market. 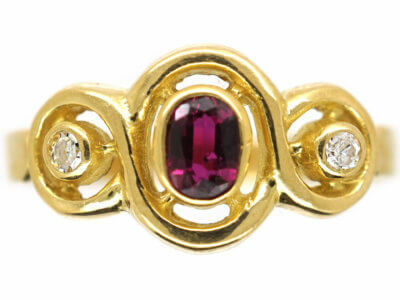 Measuring 9 on the Mohs Scale of Hardness, rubies are almost as durable as diamonds, adding to their desirability. 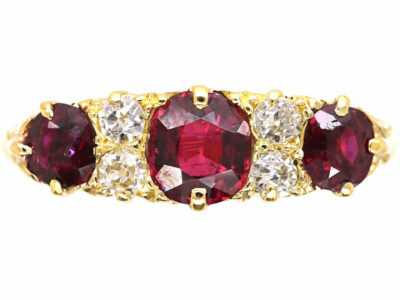 Many of the world’s rubies are mined and produced in Thailand, followed closely by Madagascar, Sri Lanka and India. 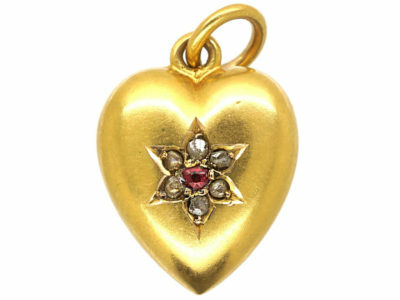 However, Myanmar (formerly Burma) produces some of the finest rubies available. In fact, many of the world’s most spectacular stones come from Mogok, in Myanmar – a legendary ‘valley of rubies’. 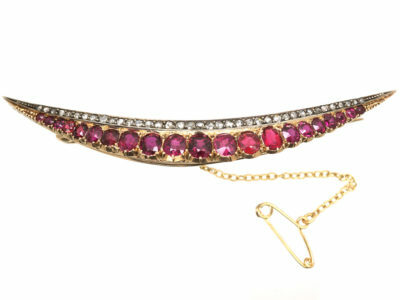 The most sought after ruby hue is a deep red with a hint of blue. This gives a purplish overtone, known as ‘pigeon’s blood’ or ‘blood red’. 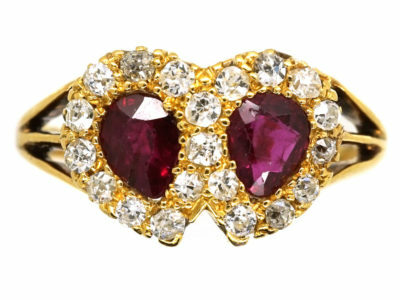 A pure, vibrant red is also considered to be very desirable in a ruby. 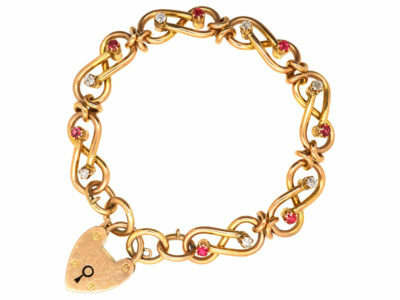 Like diamonds, a clear (or almost clear) ruby is extremely valuable. 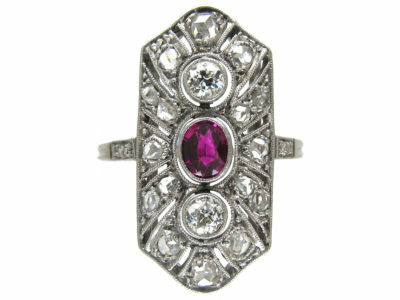 A lot of the time, a clear ruby is a warning sign that the stone has been treated as inclusions in rubies are common and well tolerated in terms of value. Where the inclusions are easily visible and impact the transparency and brilliance of the stone, the value decreases. 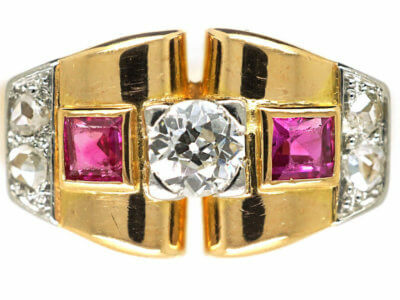 A real ruby has clean, sharp cuts and facets. Normally the crown of a ruby is normally brilliant-cut and the pavilion step-cut. 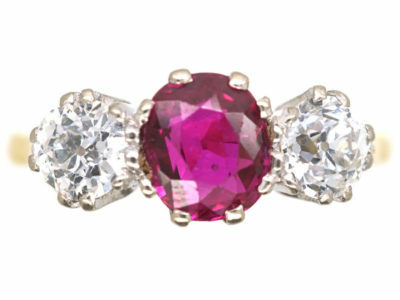 Rubies over one carat in size are rare and the value shoots up as the size increases. 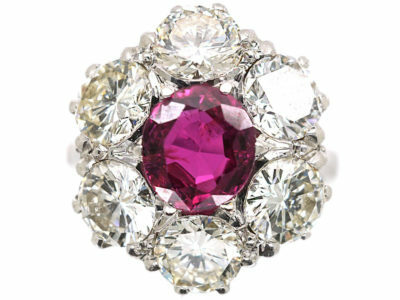 High-quality rubies that weigh over 10 carats can sell for much more than a similar sized diamond. 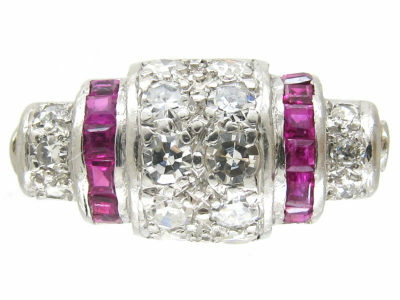 The colour and durability of most modern rubies is enhanced by treating them. Treatments include heat treatment, irradiation and fracture filling. There are strict guidelines in place for disclosing which treatments have been applied, to help identify the rare truly ‘perfect’ stones which are extremely valuable. 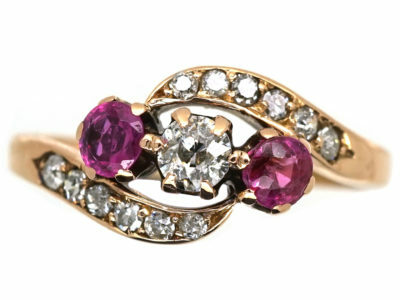 Rubies that date back to the first half of the 19th century and earlier are the real deal. 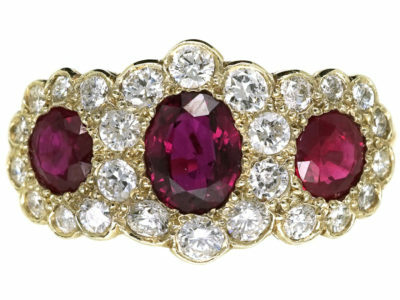 Garnet doubles – where a piece of garnet is fused with the pink/red piece of glass to simulate rubies – have been used in jewellery since the 1850s. 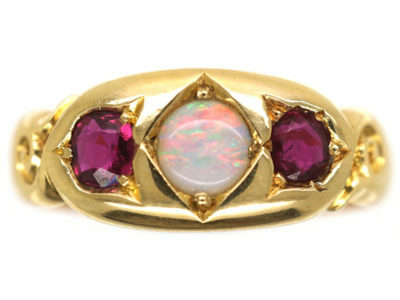 Look out for them in Victorian jewellery, where they were used to produce less expensive pieces. 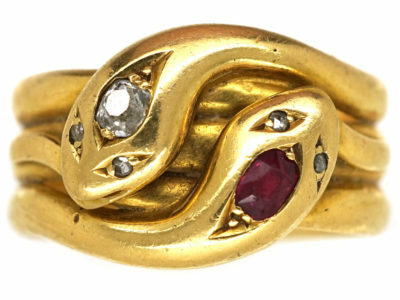 In the later part of the century, chemist, Auguste Verneuil, pioneered synthetic ‘flame-fusion’ rubies. 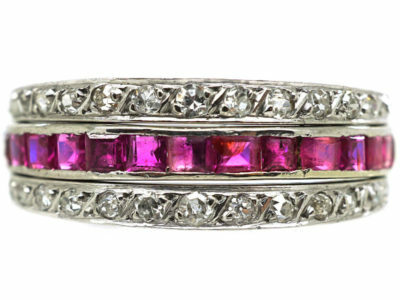 The ruby is the traditional birthstone for July. It also represents a 40th wedding anniversary. 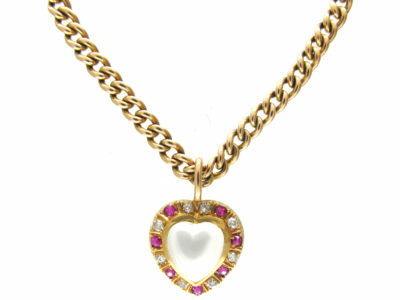 Rubies are often said to symbolise power and protection. The bible associates them with beauty and wisdom. 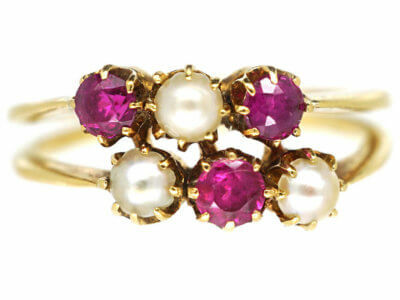 According to ancient folklore in India, rubies help the people be at peace with their enemies. Whichever you choose to believe, rubies are undoubtedly good eggs! 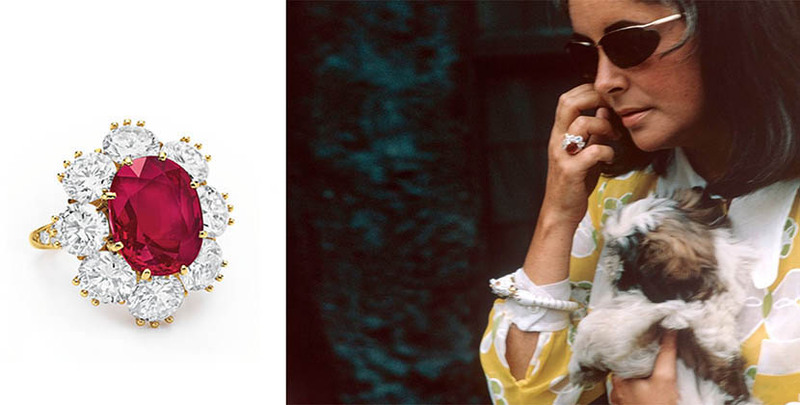 A Van Cleef & Arpels, 8.24 carat ruby ring belonging to Elizabeth Taylor was auctioned for $4.2 million in 2011. 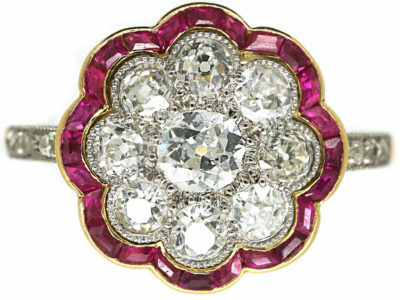 The ‘Hope Ruby’ was the most expensive ruby ever sold. It weighed 32.08 carats and sold for $6.74 million.